This is a lot! And all these things are likely bulkier than they need to be. How much stuff within these three areas can be purged due to lack of use. Besides the keys themselves, many people have other nick knacks, and member card tags (bar coded) on their key chain. 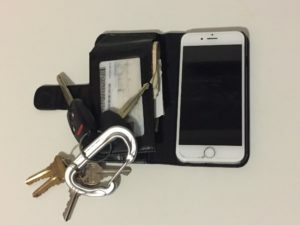 For starters, we can take off all the useless keys that we don’t use that often (less than weekly); put them on a separate keychain that we leave on the key hook at home (or whatever we use as a holder) for when we finally need them. As far as knick knacks are concerned, lose em; or maybe keep one so we can identify our keys in a lineup. Member card tags are important. Me ….. I be damned if I don’t get the benefit that membership offers me at my local grocery store. Modern mobile technology however enables us to enter these member tags into our mobile device for use. There are plenty of apps that serve this function. Boom! Just like that, member tags are gone. I don’t think I need to mention the receipts, old business cards, and “Subway, Free sub after 5 subs purchased” garbage that needs to be discarded. Well I just did. 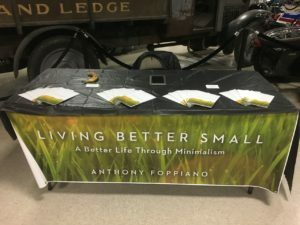 Membership cards? …. see above. In the end, just like with your keys, anything that is not used at least weekly can be put in a separate area that is easily accessible when we need it. 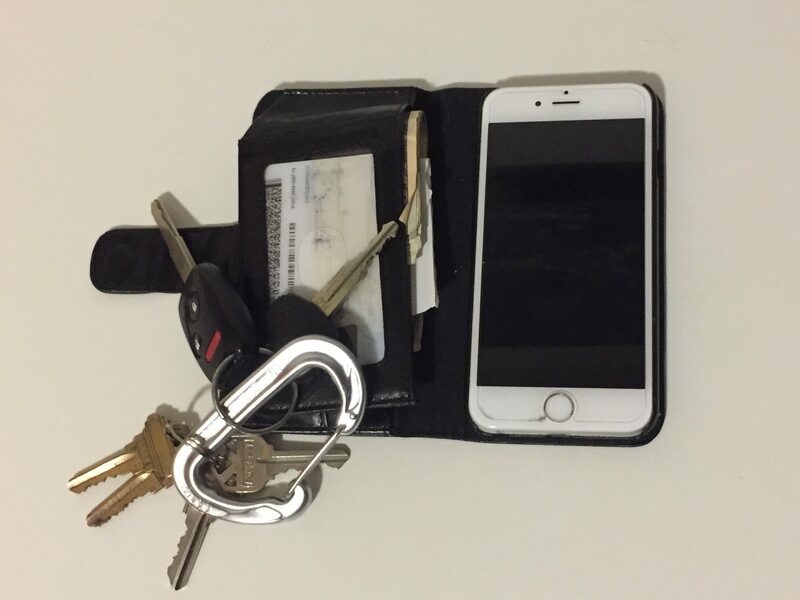 A second wallet left at home if you will. In the end all we should really have with us is our drivers license, A credit card, ATM/debit card, cash, and just a few (no more than five) commonly used items. I do acknowledge that there are some things we have that which we don’t use often, but are there for emergency circumstances; and we always need to be prepared. Emergency cash, emergency credit card, emergency hygiene supplies. I suggest that those things be left in our vehicle. After all, wherever we are, our vehicle is not too far away. Personally I use my cars visor pouch and glove box just for that purpose. I recently did a “carry-on minimizing” myself and realized I could combine things. This realization started with my membership tags. But when I minimized my wallet down I came to the conclusion that I could combine my wallet and Mobile device together. That is, keep my mobile in a mobile wallet where I would also store all my usual wallet items. And there we have it …. two carry-ons become one. This image here now represents my total carry-on supplies. Just as a side note (or reminder), keep in mind that a modern mobile device can serve as a replacement for most of the things we carry on us when we are out. Previous PostPrevious Take full advantage of the things and resources we have.